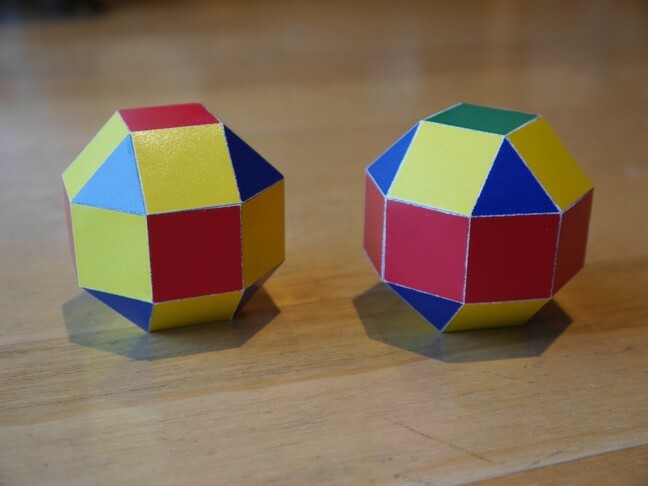 The rhombicuboctahedron and the pseudo-rhombicuboctahedron. This rhombicuboctahedron was made from a single net, printed in colour with a colour laser printer. 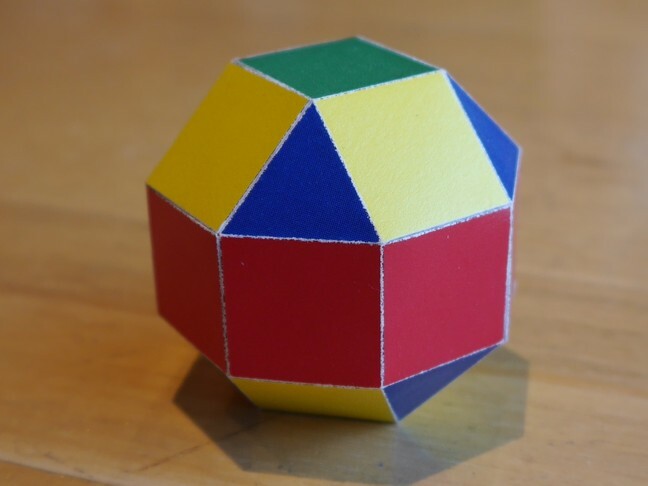 This is a pseudo-rhombicuboctahedron, and was made from a single colour net. Each vertex is locally the same as the rhombicuboctahedron, being surrounded by three squares and a triangle (vertex description 4.4.4.3), but the rest of the model does not line up if you transform one vertex to another. For this reason it is not a uniform polyhedron, but can still be made with Great Stella or Small Stella. 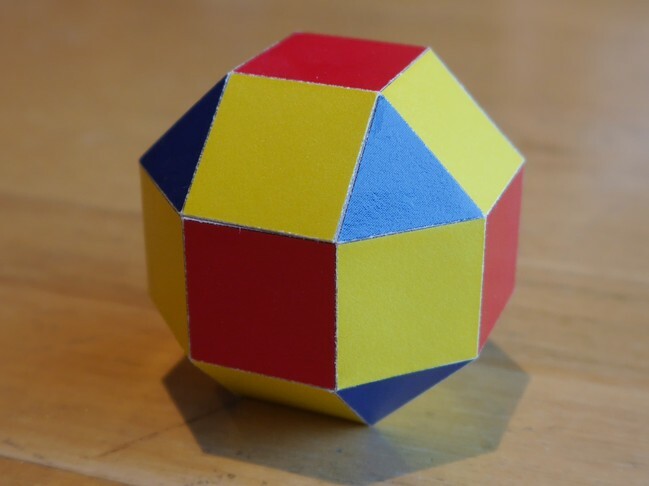 This model is also called the elongated square gyrobicupola, and is one of the Johnson solids.